Dr. Laura Feinstein joined the Pacific Institute in 2016 as a senior researcher. She conducts research on aquatic ecosystems; the impacts of climate change on water resources; the water-energy nexus; and environmental health and justice. 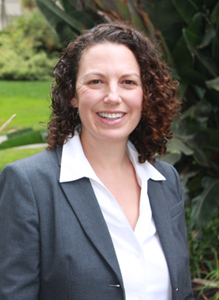 Prior to joining the Pacific Institute, she was a research scientist and project manager with the California Council on Science and Technology. She also served as a Science and Technology Policy Fellow with the California Senate Committee on Environmental Quality and was a California SeaGrant Delta Science Fellow. Laura holds a B.A. in Anthropology from the University of California, Berkeley and a Ph.D. in Ecology from the University of California, Davis.